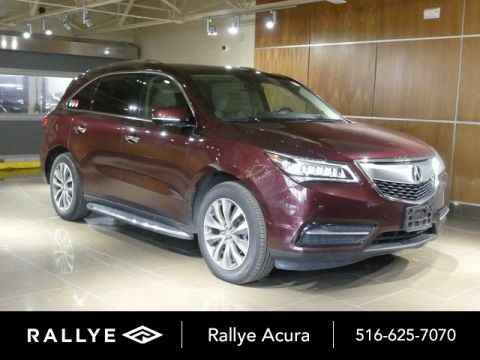 Take on the streets of Rallye Acura in a used Acura MDX. 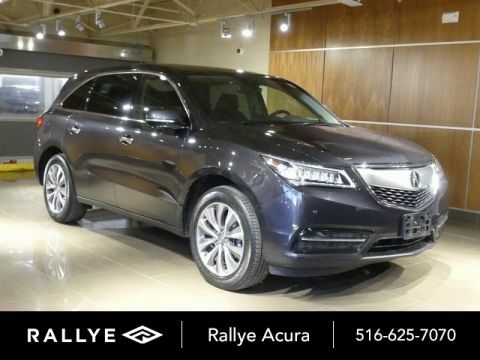 A used Acura MDX boasts the exceptional performance specs and luxurious design elements to make driving enjoyable. 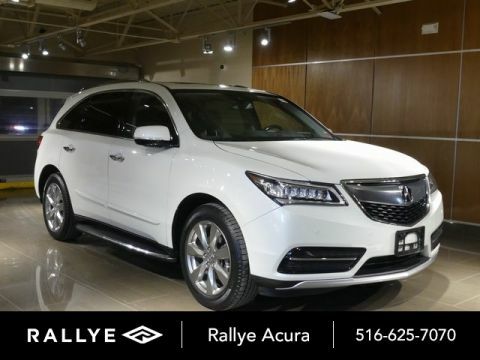 When you’re ready to experience a great used Acura MDX, stop by Rallye Acura today! 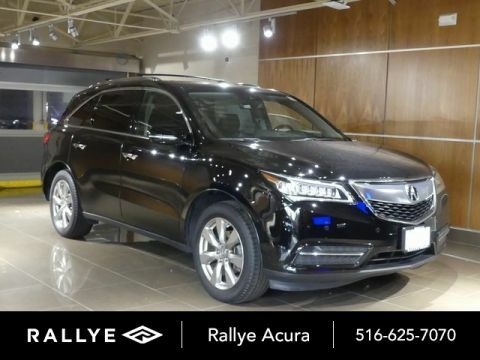 2016 Acura MDX 3.5L SH-AWD w/Technology Pkg Graphite Luster Metallic Certified. Odometer is 8121 miles below market average! New York's premier destination for Certified Pre-Owned Acuras!! 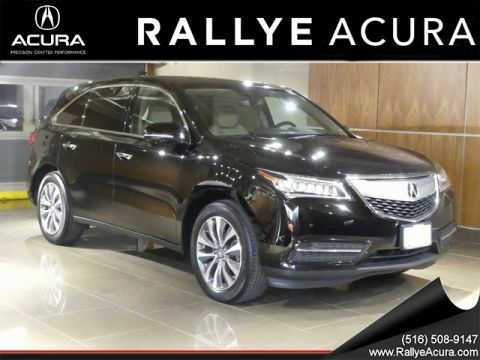 2016 Acura MDX 3.5L SH-AWD w/Technology Pkg Graphite Luster Metallic Certified. Odometer is 10568 miles below market average! 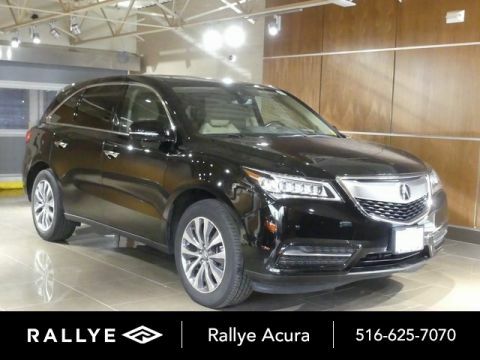 Rallye Acura, like Carmax & Autonation now price their cars at market price to aid in transparency and make purchasing a car easier for the consumer. Long term financing and low interest rates are available for qualified buyer's with approved credit. Quick call 516-625-7070 or visit us @ www.rallyeacura.com. 2016 Acura MDX 3.5L SH-AWD w/Technology Pkg Lunar Silver Metallic Certified. Odometer is 6415 miles below market average! 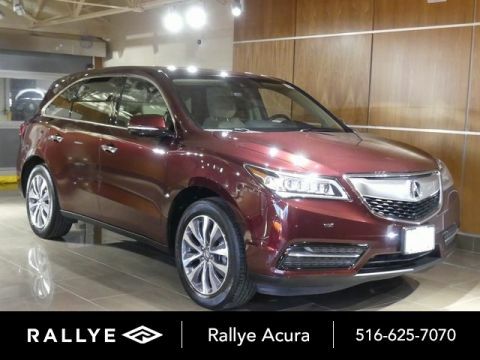 Rallye Acura, like Carmax & Autonation now price their cars at market price to aid in transparency and make purchasing a car easier for the consumer. Long term financing and low interest rates are available for qualified buyer's with approved credit. Quick call 516-625-7070 or visit us @ www.rallyeacura.com. 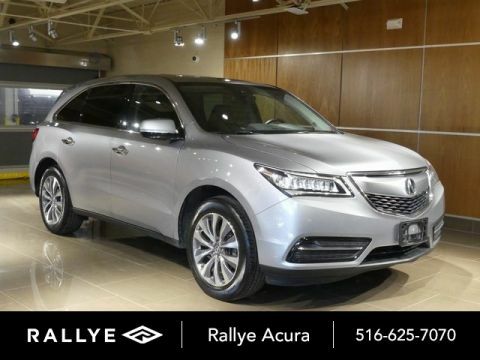 2016 Acura MDX 3.5L SH-AWD w/Technology Pkg Graphite Luster Metallic Certified. Odometer is 13585 miles below market average! 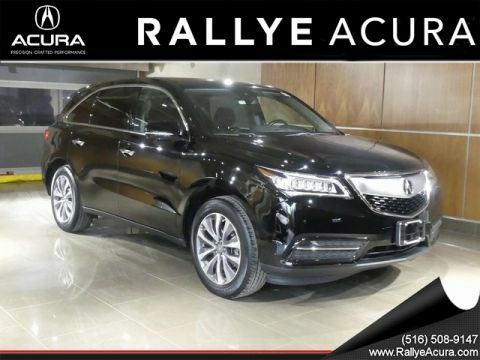 Rallye Acura, like Carmax & Autonation now price their cars at market price to aid in transparency and make purchasing a car easier for the consumer. Long term financing and low interest rates are available for qualified buyer's with approved credit. Quick call 516-625-7070 or visit us @ www.rallyeacura.com. 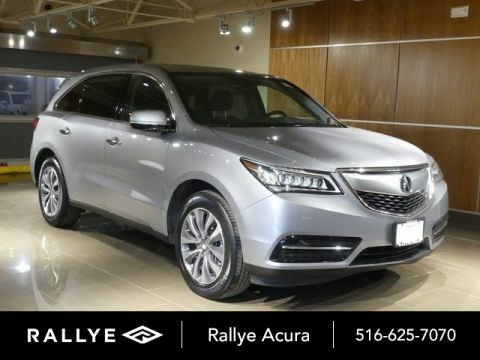 2016 Acura MDX 3.5L SH-AWD w/Technology Pkg Lunar Silver Metallic Certified. Odometer is 16181 miles below market average! New York's premier destination for Certified Pre-Owned Acuras!! 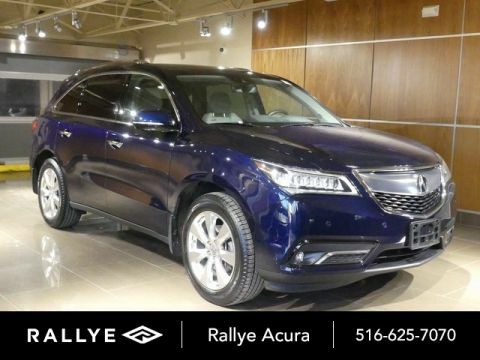 2016 Acura MDX 3.5L SH-AWD w/Advance Package Fathom Blue Pearl Certified. Odometer is 16859 miles below market average! 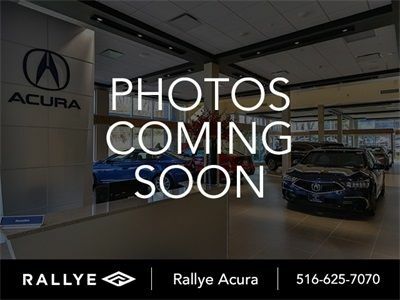 Rallye Acura, like Carmax & Autonation now price their cars at market price to aid in transparency and make purchasing a car easier for the consumer. Long term financing and low interest rates are available for qualified buyer's with approved credit. Quick call 516-625-7070 or visit us @ www.rallyeacura.com. 2017 Acura MDX 3.5L SH-AWD w/Advance Package Crystal Black Pearl Certified. Rallye Acura, like Carmax & Autonation now price their cars at market price to aid in transparency and make purchasing a car easier for the consumer. Long term financing and low interest rates are available for qualified buyer's with approved credit. Quick call 516-625-7070 or visit us @ www.rallyeacura.com. 2016 Acura MDX 3.5L SH-AWD w/Advance Package White Diamond Pearl Certified. Odometer is 14777 miles below market average! 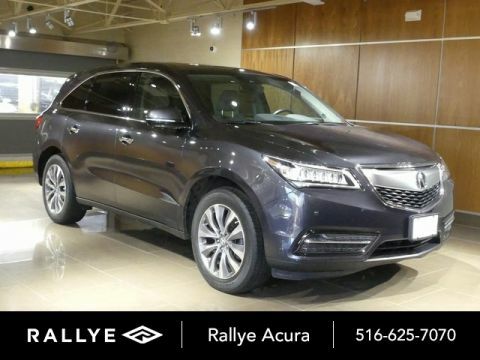 Rallye Acura, like Carmax & Autonation now price their cars at market price to aid in transparency and make purchasing a car easier for the consumer. Long term financing and low interest rates are available for qualified buyer's with approved credit. Quick call 516-625-7070 or visit us @ www.rallyeacura.com. 2017 Acura MDX 3.5L SH-AWD w/Technology Package Lunar Silver Metallic Certified. Odometer is 9140 miles below market average! 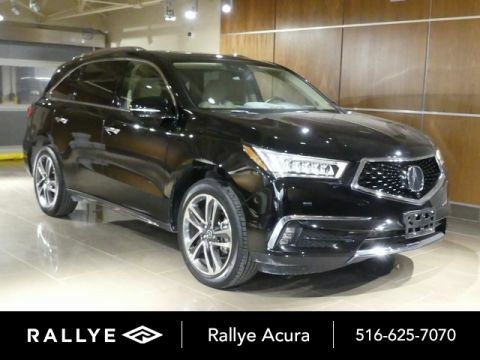 Rallye Acura, like Carmax & Autonation now price their cars at market price to aid in transparency and make purchasing a car easier for the consumer. Long term financing and low interest rates are available for qualified buyer's with approved credit. Quick call 516-625-7070 or visit us @ www.rallyeacura.com. 2017 Acura MDX 3.5L SH-AWD w/Advance Package Modern Steel Metallic Certified. Odometer is 22441 miles below market average! Rallye Acura, like Carmax & Autonation now price their cars at market price to aid in transparency and make purchasing a car easier for the consumer. Long term financing and low interest rates are available for qualified buyer's with approved credit. 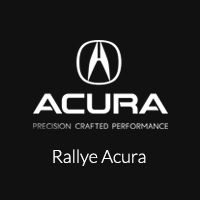 Quick call 516-625-7070 or visit us @ www.rallyeacura.com. Still curious as to how a used Acura MDX can upgrade your Phoenix commute? Whatever model you choose, you’ll be able to take advantage of wonderful performance features and great interior comfort. 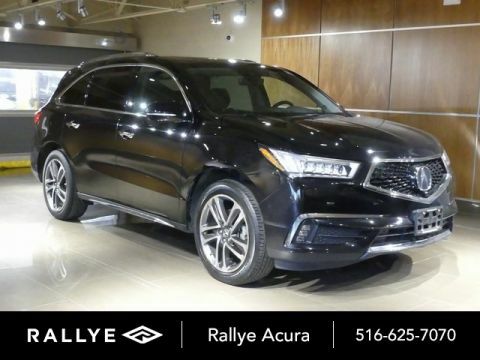 If you’d like to see how a used Acura MDX compares to fellow models, compare vehicles to find out which is best for you. When you’re ready to test out a model in person, visit us at Acura of North Scottsdale. We look forward to helping you find your next used Acura MDX.